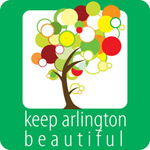 The University of Texas at Arlington (UTA) and the City of Arlington combined their resources and sustainability visions to expand the UTA Sustainable Campus Composting program. John Darling, part of UTA Facilities Management with the Grounds Department staff, has been composting on campus since its inception. He actually got the program started.